I would say 2018 was by far, the worst period my skin had ever been. I was testing all these products and suddenly I didn't know which products doing what, and I guess my skin couldn't tolerate it anymore. I was breaking out constantly, and I had acne and tiny bumps all over my forehead. 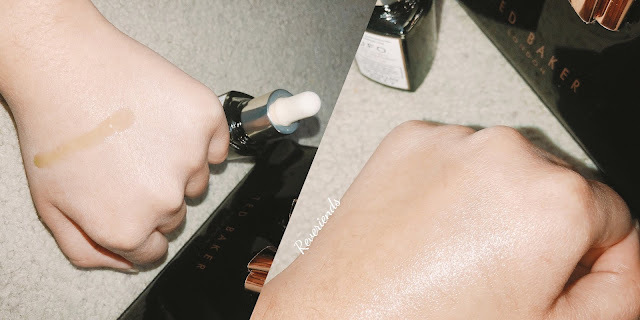 My skin was a constant mess, and I just kept on searching for the right products to use. That's when I realized that my skin was tired from using all these different products, and it definitely needed a break. That's also when I discovered this product, U.F.O Ultra Clarifying Facial Oil by Sunday Riley. In 2018, I was still following that trendy 10-steps Korean Skincare Routine because I was so obsessed with having a glass skin that was all over the internet. I wouldn't say that it was a bad routine, but I guess it was too much for me. I was following that routine from the beginning of 2017, and my skin was doing perfect. However though, sometimes we just have to listen to our skin in order for it to be bomb AF. So, I started to listen to my skin and used my skincare products accordingly. After finding the right moisturizer to use, I thought about finding an exfoliant skincare product because my skin was so congested. I've tried Glow Tonic by Pixi (read the review here,) but it didn't do much to my skin. That's when I decided to get this product; a more powerful exfoliant. I mean, just look at the description at the back of the bottle. 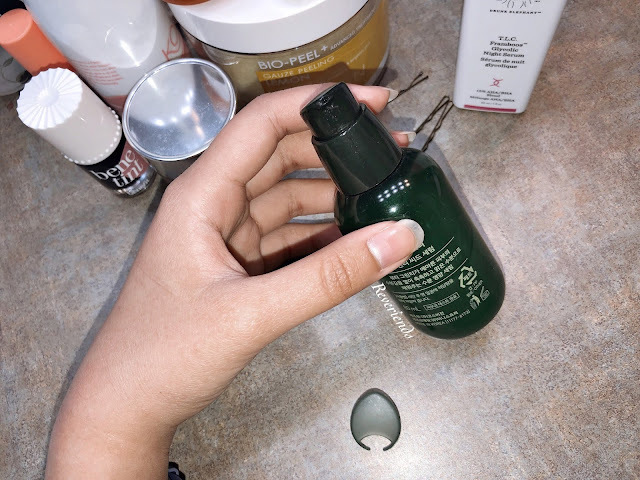 "Supercharged with 1,5% Salicylic Acid, this fast-acting, quick-drying medicated oil clears acne and blackhead-counting buildup and debris from congested pores for smoother, blemish-free skin." Just by reading at this, I felt like this product have saved my skin already! It contains 1,5% Salicylic Acid, tea tree oil and black cumin seed oil to help clear out acne and blemishes. 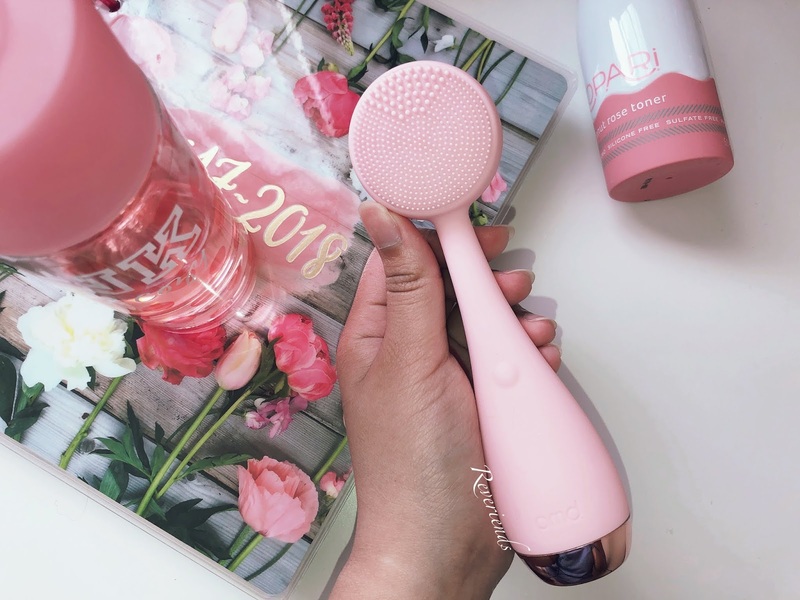 And not only that it will clear out your skin, it also will hydrate your skin as it contains milk thistle and cucumber seed oil. You can read the full ingredients here. It comes in a glass bottle with a dropper. Just a standard packaging for a facial oil/serum, nothing special except for the beautiful, green emerald color of the oil. The thing that I really wanted to point out first is that, this facial oil smells really bad. Forgive me for not being able to describe a smell, but I honestly think that it smells disgusting (oops! ), and it made me wanna throw up every time I used it. The smell also linger on your skin for about 10-15 minutes after application, so, just be prepared for it. 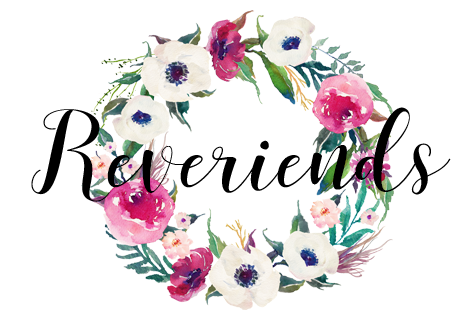 But, not too worry about the smell, because this product works like a miracle overnight! The consistency is very runny, a little bit goes along the way, and it does absorb very quickly into the skin. I only need 2 drops to cover my whole face. And yes, this is a no-joke product because it retails for US$40 for just 15mL. It ain't for a fainted-heart. Do I think this is expensive? Yes, in fact, very expensive. But, do I think this is worth it? Well, it truly hurts me and my bank account, but unfortunately, like I've said before, this is a no-joke product. It worth every penny of it. 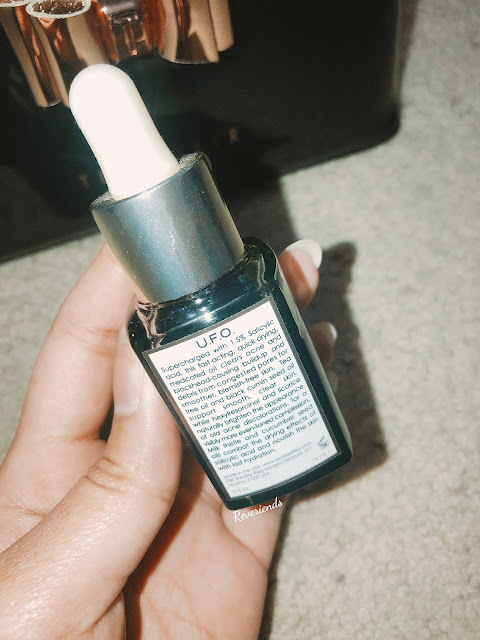 Whenever I have acne, especially a stubborn acne that doesn't go away within 3 days with a topical acne medication, I'll slather this U.F.O oil into my skin. What about tiny bumps? gone. Pimple? gone. And as a girl who have really oily skin, although this oil didn't clear out ALL my blackheads, but it definitely helped getting rid of it. I used to have a severe blackheads on my nose that is really visible, but it's way better and under-control now. 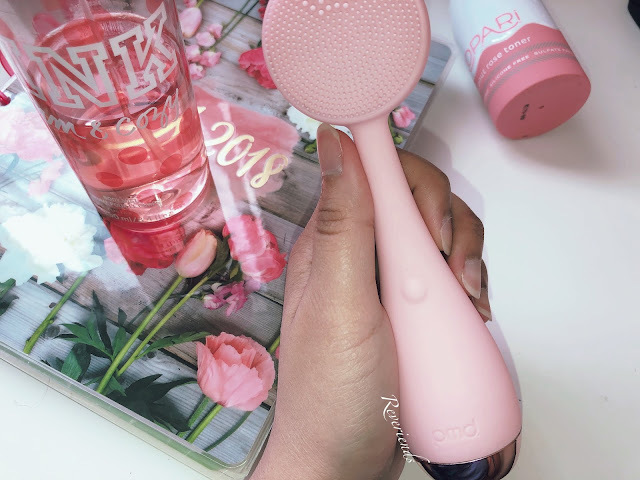 This is truly a life-saver for me whenever my skin is acting up. 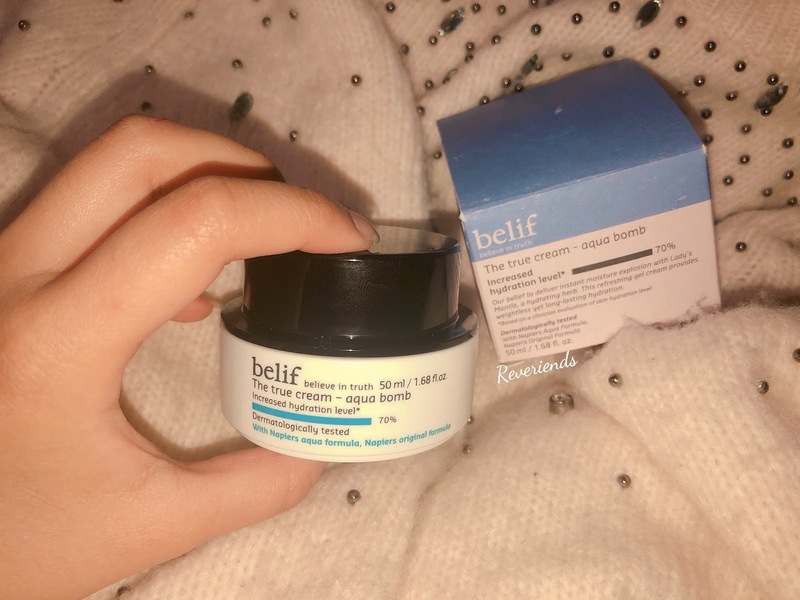 I believe that everyone that has an oily skin, and/ acne-prone skin, need to get this product immediately on their hand! It will clear out your skin, while simultaneously hydrate it. I usually don't put on any moisturizer before using this facial oil because I feel like it is moisturizing enough, and I don't wanna look a like grease oil. I also don't overuse this product simply because it's powerful. I don't want to over exfoliate or overdo my skin because I believe that's one of the reason why I kept on breaking out last year. 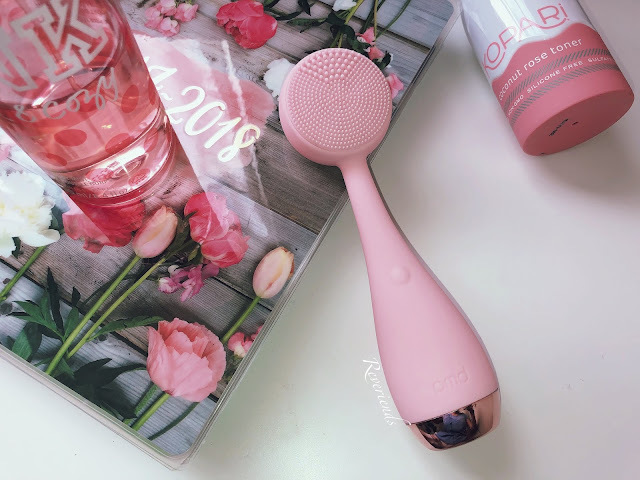 I use this product just when I feel like I needed to or when my skin needs a little bit pick me up from all the environmental stressors. Hence, I use this facial oil 1-2 times a week, but not more than 3 times. Rate: 4/5. I would really love to give it 5/5, but the smell of it really bothers me, as well as the expensive price it is. 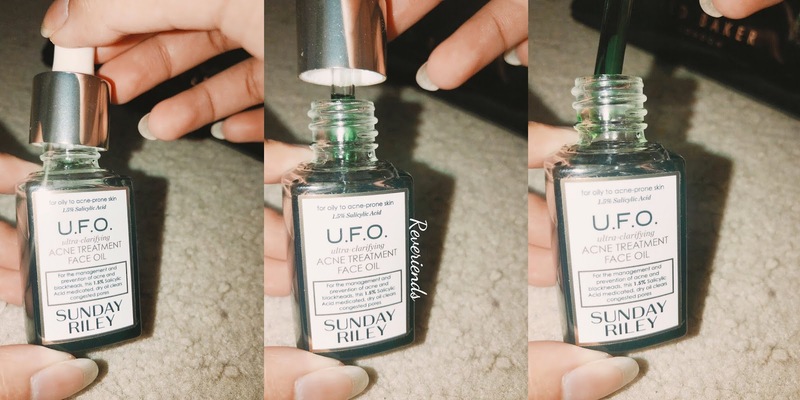 Have you guys tried any product from Sunday Riley? I really wanted to try their Good Genes! Have your ever bought something just because you were tempted by the smell of it? 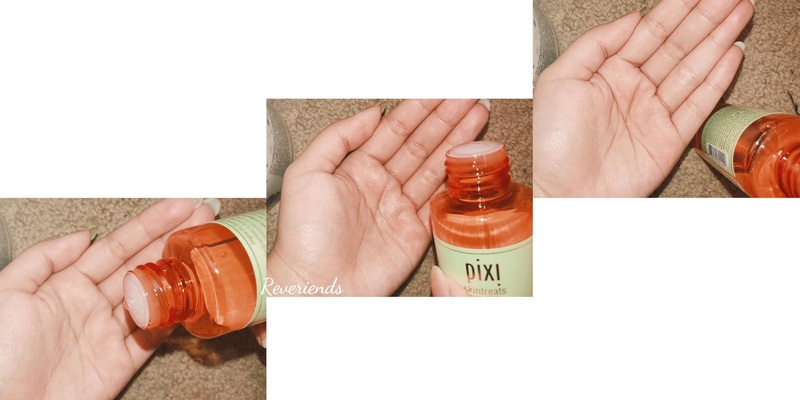 Well, that was what happened to me when I decided to try out this Glow Tonic by Pixi. 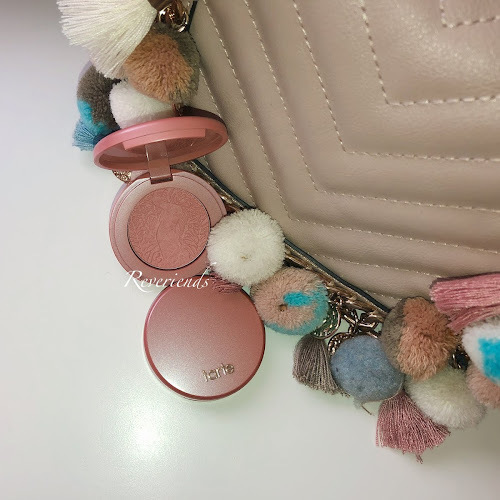 I knew that a lot of beauty influencers have been raving about this product for a long time and many of them even said that this product is their holy grail. 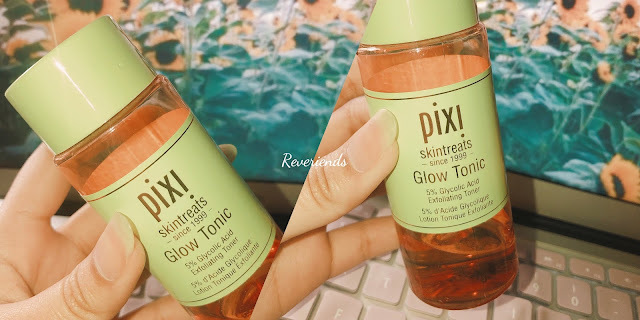 I was never tempted by all those hyped reviews, but I was sold when I smelled this glow tonic! I remember I was sleeping over my friend's house when I stumbled upon this product and randomly tried to smell it. It was... very, relaxing. I felt like I was in a flower garden whenever I smell this toner. 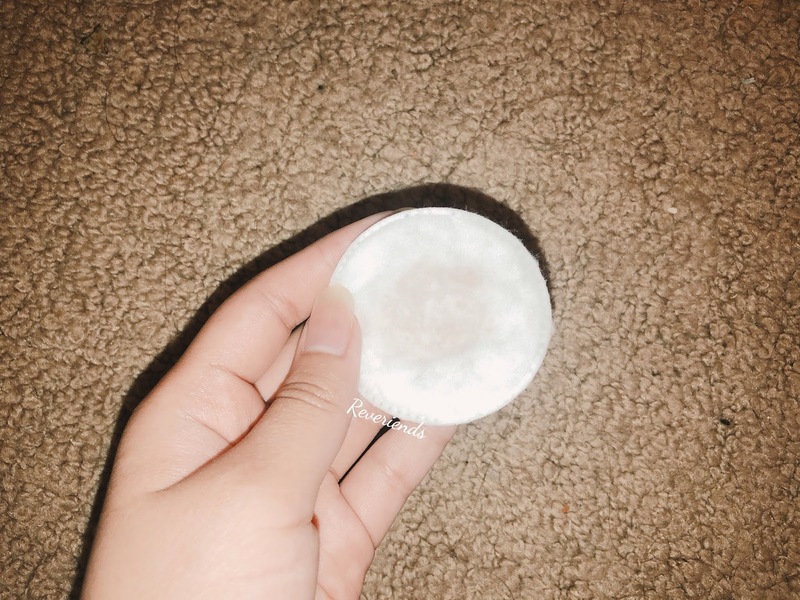 The consistency is like water, and I always use a cotton-pad to apply the toner onto my face. However, I never swiped the cotton-pad, instead, I use a tapping motion and avoiding the eye area. 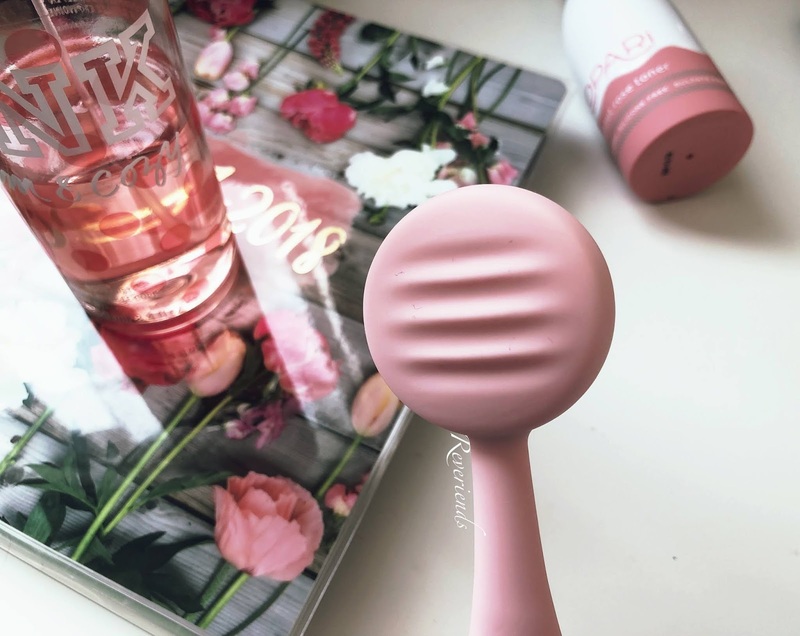 In addition, I usually use this toner 2-3 times a week or just when I felt like I need it. 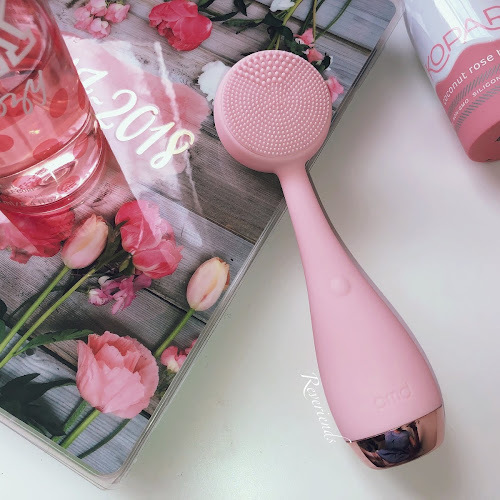 I wouldn't recommend to use this toner everyday as it is an exfoliating toner, and if you have a sensitive skin you may want to use a hydrating toner after you apply the glow tonic. After using this toner for about 3 months now, I would say that this is a proper exfoliating toner. 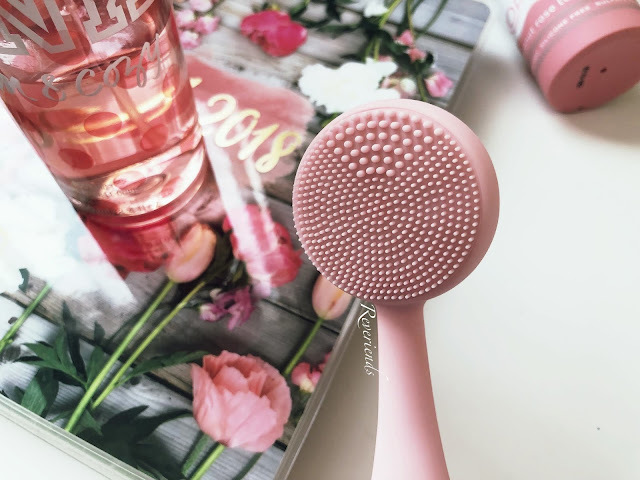 It's not too harsh for my sensitive skin, but it's also not a powerful exfoliating skincare product, if you are looking for one. As it contains glycolic acid, I wouldn't expect much for it to improve my skin's texture or pores because like I've said before, AHAs don't penetrate into the skin deeply like BHA does. 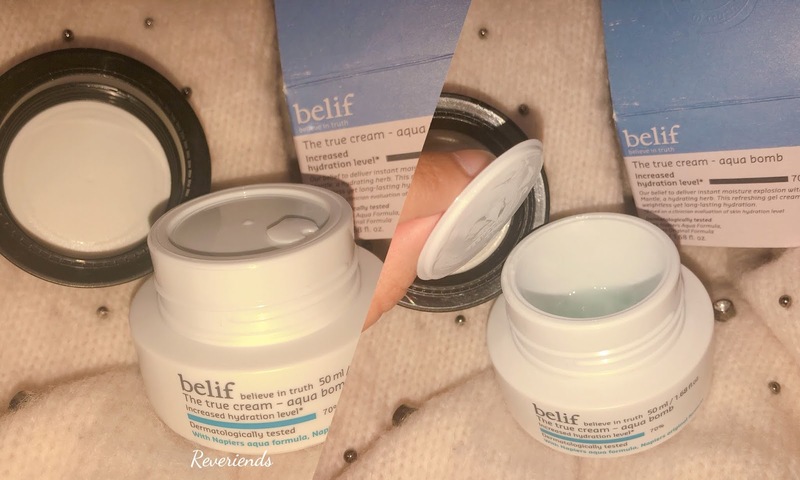 I do see a little improvement on my acne scars, as well as on my overall complexion, but it's not a miracle product for me. I think you will love this exfoliating toner if your skin just need some pick-me-up to brighten up dull or tired skin. 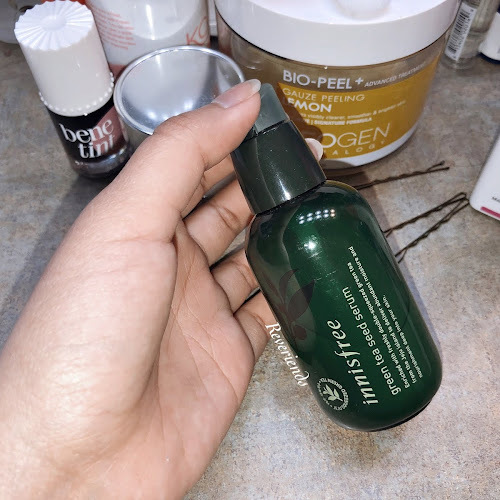 But, if you're looking to improve your skin's hyper-pigmentation or PIH (Post Inflammatory Hyper-pigmentation) acne scars, I suggest you to get a stronger AHA serum like Drunk Elephant TLC Framboos Glycolic Night Serum or niacinamide, as well as vitamin C serum (my favorite is the OleHenriksen Truth Serum). Anyway, don't forget that if you're a newbie to using acids, always work your way up and listen to your skin to avoid any skin irritation. 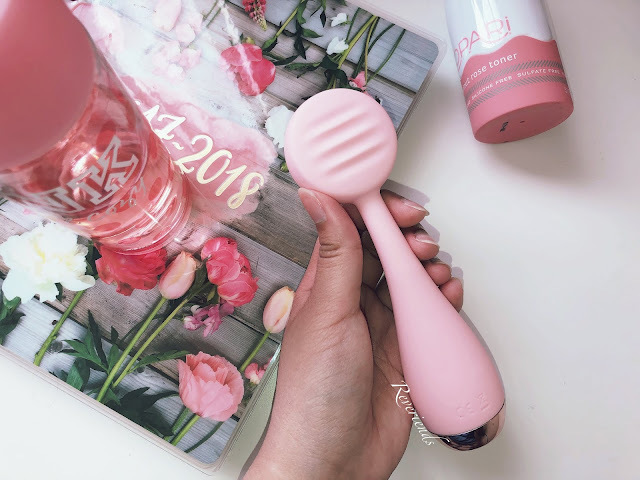 Fiiinaaally, I get to post a review again! Sorry for being out of the radar for the past few months, I got too caught up with running errands. Anyway, I'm so excited to introduce my very first serum from the Korean skincare staple. I've noticed that I've been testing out a lot of Korean sheet masks, but I never really got into their serums. So, here it goes! This serum retails for USD $25.00 for 80.00 mL. I love that this serum comes with its little cap to cover the lid! 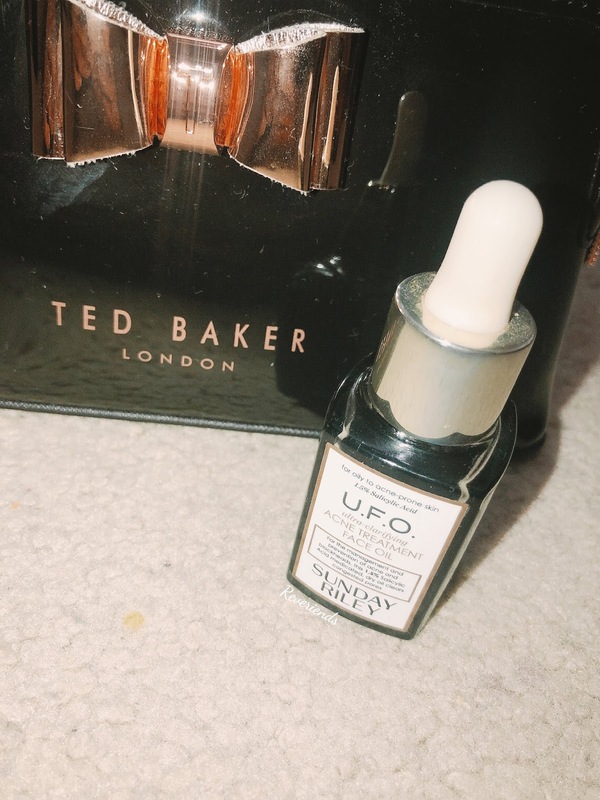 So, this serum is travel-friendly because when you put it into your skincare bag, it won't spill everywhere! The packaging is also made from a plastic material. 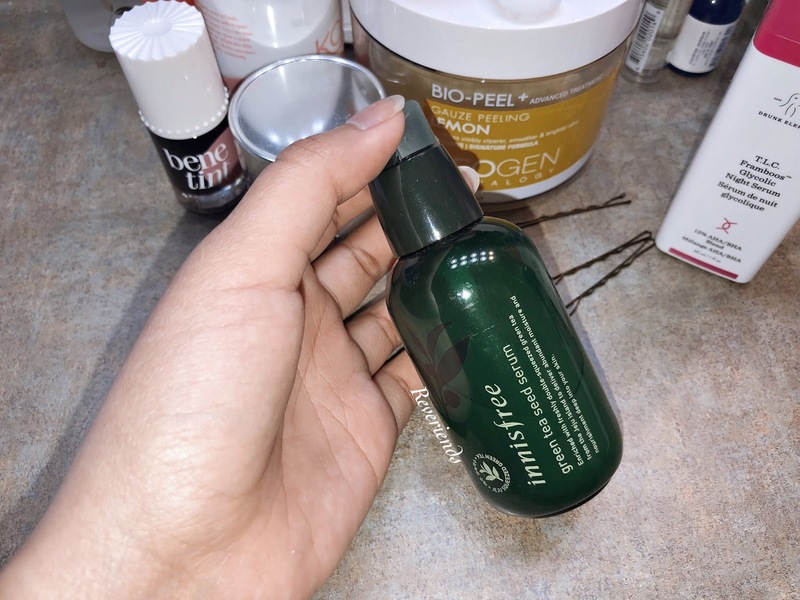 You can read the full ingredients from the Innisfree website. But, I want to point out the first 5 ingredients listed: Water, propanediol, alcohol, glycerin and betaine. Does something caught your attention? Yes, it contains alcohol as their third ingredient list! What a surprise. However, they have glycerin next to it, soo I think it will balance out the drying effect from alcohol? Okay that sounds weird and it just blurted out from my head. 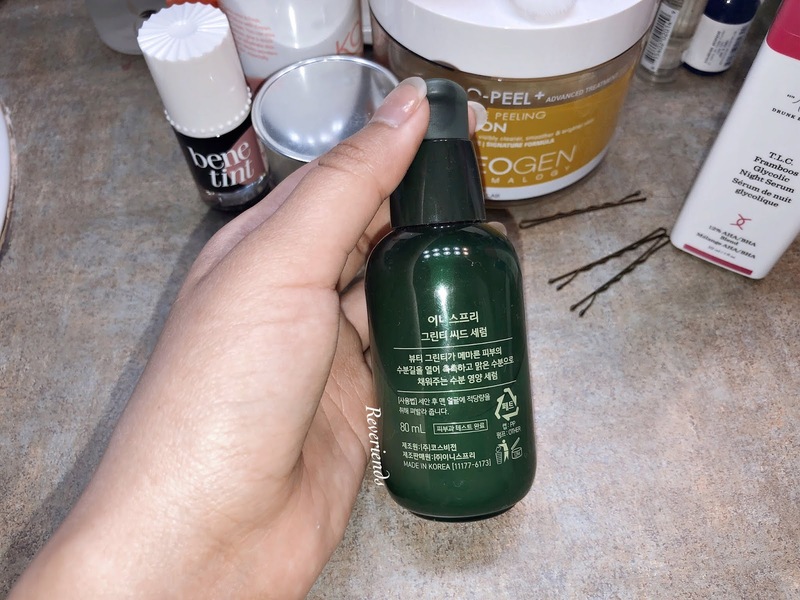 At first, I didn't really notice the ingredients because I was too excited to try this serum, especially after reading so many good reviews about it. 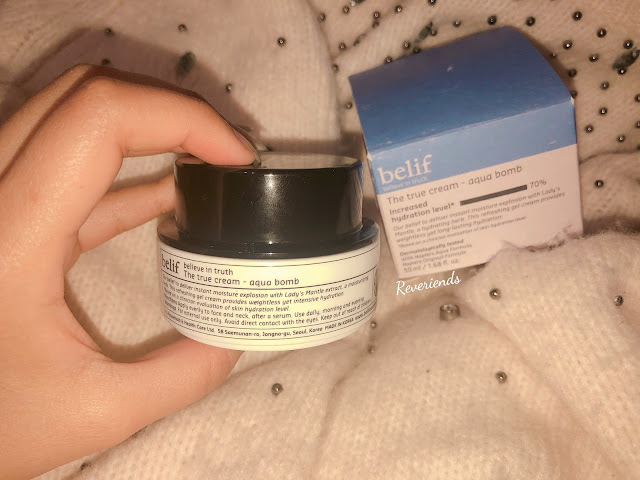 My best friend actually recommended me to try this out, and she has similar skin problems like mine (Oily, dehydrated and acne-prone skin), so I thought, why not give this a try? Although, I wouldn't recommend this to the people who have sensitive skin because of the alcohol and fragrance in this serum.